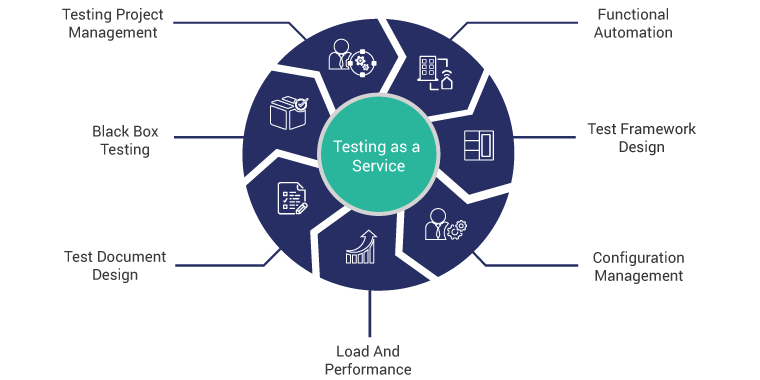 Testing as a Service or TaaS is a comprehensive test model that ensure application operatives are maintained at optimum work levels by calibrating product functionality, reducing development costs and improving overall dynamic quality throughout the project lifecycle. Pratham Software (PSI)’s end-to-end test approach involves a team of dedicated testers and environment managers, who utilize their extensive field knowledge and industry best tools to device rigorous testing methods for superlative application performance. The Group practice enables enterprises to create strong quality practices which follow Agile and other traditional testing models and helps bind strategic properties of a unified quality organization i.e. people, process and technology, to comprehend business vision. It operates as an independent Verification and Validation body, abiding by the QA Methodology and framework set by IEEE & ISO standards. A dedicated team of certified Software Testing Engineers with certifications from ISTQB, HP, Scrum.org Microsoft, Red Hat and Cisco. Our range of Software Testing services cover Enterprise Applications, Web Portals, Mobile Platforms and technologies including J2EE, .Net, PHP, Lamp, Hadoop, Flash, Flex, Silverlight, etc. Team with testing expertise across domains like Operational Business Intelligence, BPM, Logistics, Travel, Retail, E-Commerce, Social Networking, HealthCare, B2B, ERP, Banking, Advertisement, etc. Compatibility across browsers namely, IE, Firefox, Safari, Chrome, etc. Functional Automation using leading Industry tools such as Selenium, Ranorex, Protractor, VS Coded UI, QTP, Cucumber and API automation using Soap UI, REST-Assured, Postman etc. Performance Automation services capturing Stress, Load, CPU & Memory utilization using JMeter, HP Load Runner, Load Complete, Gatling etc. Security/Pen testing using tools such as OWASP ZAP, Burp Suite, Wireshark, SQLMap etc. Test Management Services using TFS, Jira, Zephyr, QASpace, Redmine, HP ALM(QC) etc. Maintaining test metrics, test harness, RTM, Results Analysis, Reports, etc.